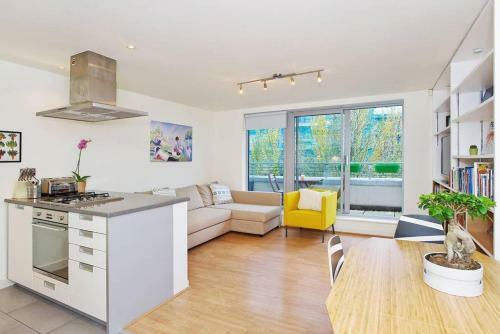 Superb three bedroom furnished apartment at a modern development in Peloton Avenue at the Queen Elizabath Olympic Park in East London. The apartment is decorated to an excellent standard throughout with designer bathroom and fitted kitchen. Ur Space Too has three double bedrooms and benefits from use of a small garden/terrace area. 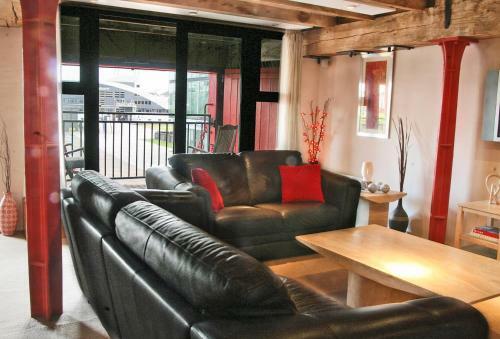 The apartment, which sleeps up to eight guests, has free wifi and free car parking. Comfortable and well presented apartment in Stratford which can sleep up to eight people. 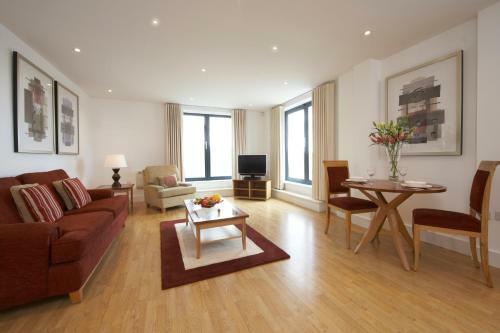 Serviced accommodation for 2-4 people from Marlin Apartments in Stratford, East London. Serviced apartments in Stratford E15 and E20 providing self catering places to stay close to Westfield Stratford City, Stratford International station and the Queen Elizabeth Olympic Park. Former Olympic stadium in the Queen Elizabeth Park which is now home to West Ham FC. Large shopping mall complex with a large range of stores and eateries. Stores include John Lewis, Apple, Boots, Diesel, EE, Foot Locker, HMV, IKEA Order/Collection point. Modern, former Olympic venue at the Queen Elizabeth Park in Stratford with pools for diving and swimming. Tube services on the Central and Jubilee lines. National Rail services including High Speed service to St Pancras and to destinations in Kent.